Early november I took a shortbreak to the Vosges, a low mountain range in eastern France, near the German border. The massif known in Latin as Vosago mons, sometimes Vogesus mons, was extended to the vast woods covering the region. Lynxes are still present in these hills, but very few remain so this was not our target for this trip. 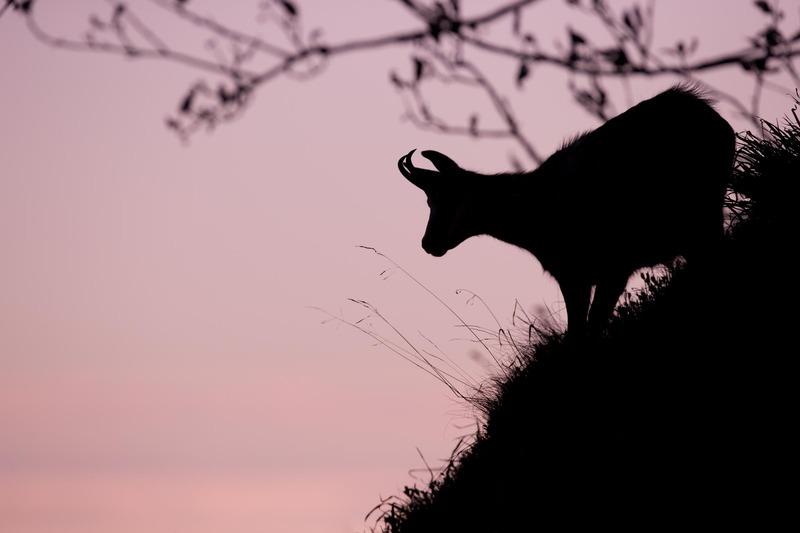 The highest peaks and steepest cliffs of the Vosges are grazed by Chamois so obviously I wanted to get some glimpse of these in the morning light! Amazing what you can achieve in these mountains on such a short period of time! Just east of this mountainrange you have the Alsace region. known for its fine wines, piterosque villages and high class restaurants!